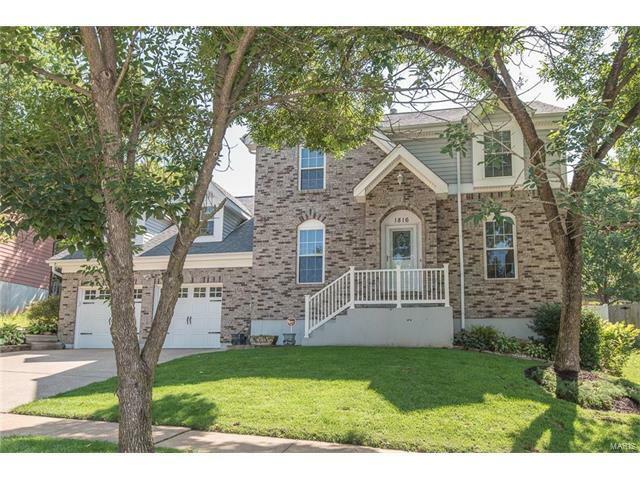 Are you looking for a unique, custom floor plan in Fenton? You need to check out this home with over 1,900 sqft in the Rockwood School District. This 3 bed, 2.5 bath is perfect for entertaining. Hardwood floors throughout. Vaulted ceilings in the kitchen/dining area with a walk in pantry, main floor laundry and tons of natural light being allowed in by the front dormer windows. The rear windows that overlook the park like backyard and the large 15x15 covered deck off the breakfast room allows you to relax and enjoy the outdoor space. The large family room boasts a wood burning fireplace and plenty of windows to allow in the light. The main level also has a half bath, office space and a living room. Upstairs is the large master suite, 2 other bedrooms and another full bath. There are many updates throughout the home and it is close to highways and shopping. This is a must see home! Call for your personal tour today. Hwy 141 to Hawkins. Right on Smizer Mill to left on Majestic to right on Praise Blvd.